London's financial district local authority has issued an immediate ban on waste and recycling bins in the Square Mile that collect data from passers-by's smartphones and devices, after privacy concerns were raised. The City of London Corporation said yesterday it had asked the company behind the bins, digital marketing start up Renew London, to cease the data gathering. "We have already asked the firm concerned to stop this data collection immediately and we have also taken the issue to the Information Commissioner’s Office," a City of London Corporation spokesperson said. Renew London has built a network in the City using 200 recycling and waste bins, which it calls Renew Orbs, that are equipped with LCD screens displaying live market information, news, weather and social media updates. 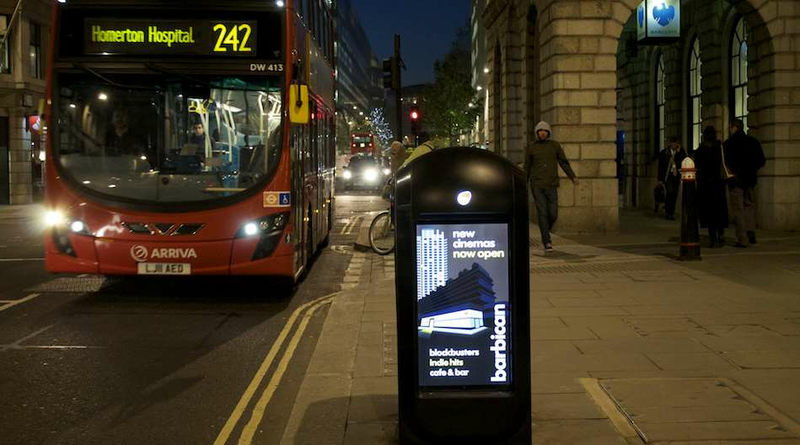 The bins can also broadcast information to mobile devices with Wi-Fi and Bluetooth, Renew London says. Kaveh Memari, the chief executive of Renew London, called the reactions on the data gathering "entirely understandable" but at the same time said there had been "an emphasis on style over substance that makes our technology trial slightly more interesting than it is". Memari explained that during the initial trials, which are now concluded, a limited number of the waste pods collected Media Access Control (MAC) addresses, a unique identifier that is assigned to the network interface on devices. This information from the devices of passers-by was used to count the number of them and to distinguish unique and repeat ones, and was anonymised, Memari said. He compared the data gathering to that which websites use, counting hits, unique and repeat visitors, but added that Renew London did not pick up any personal information about the people carrying the devices. "For now, simply think of Phase 1 testing as a glorified counter on the street," Memari said. The company promised to work on any future developments in public and also to collaborate with privacy groups such as the Electronic Frontier Foundation. City of London didn't slam the door shut on any future networked bin marketing by Renew London, saying it needed to be done carefully and with the backing of the public. However, any data collection, anonymised or not, must not take place.